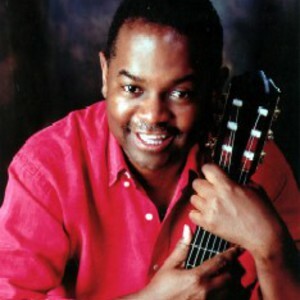 Earl Klugh (Born September 16, 1953 in Detroit, Michigan) is an American smooth jazz/jazz fusion guitarist and composer. Klugh finger picks a classical guitar with nylon strings. At the age of 13, Klugh was captivated by the guitar playing of Chet Atkins when he made an appearance on the Perry Como Show. He has since been a guest on several Atkins albums. Atkins, reciprocating as well, joined Earl on his Magic In Your Eyes album. At the age of 13, Klugh was captivated by the guitar playing of Chet Atkins when he made an appearance on the Perry Como Show. He has since been a guest on several Atkins albums. Atkins, reciprocating as well, joined Earl on his Magic In Your Eyes album. Klugh was also influenced by Bob James, Ray Parker Jr, Wes Montgomery and Laurindo Almeida. His sound is a blend of these jazz, pop and rhythm' and blues influences, forming a potpourri of sweet contemporary music original to only him. Klugh became a guitar instructor at the young age of 15, and was eventually discovered by Yusef Lateef. His career rapidly progressed to working with the likes of George Benson, George Shearing, Chick Corea, and many others. Like several other Detroit-bred entertainers, Klugh attended Mumford High School (Michigan). For their album One on One, Klugh and Bob James received a Grammy award for Best Pop Instrumental Performance of 1981. He has since received 13 Grammy nods, millions of record and CD sales, and continues touring worldwide to this day.